When planning a wedding, everyone dreams of saying their vows at their perfect venue amongst loved ones. For a lot of our customers, their chosen venue is a tipi wedding due to the unique, versatile edge that they have to offer. Tipi weddings offer the possibility of holding an intimate wedding for fifty guests or a huge party for up to two hundred of your friends and families. Tipis are infinitely changeable and can offer the space and décor that suits you and your inspirations. As standard, hiring a tipi usually involves having seats, tables, lighting and the all-important dance floor involved in the total cost. Due to the size of tipis, they are most likely to be remote and in the picturesque countryside. Because of the location, hiring facilities to ensure your wedding runs smoothly is paramount. This is where Mambo’s can help. At Mambo’s Mobile Cocktail Bar Hire we can bring our worldwide experience and years in the hospitality industry to you and serve the most unique, delicious cocktails all night long. In the run up to the big day you can opt to work with Mambo to create your very own bespoke cocktail menu and even create your very own personalised drinks for your wedding. We will take care of everything, from the glassware and bar set-up right down to the highest of quality ingredients and of course the licensing. We have a range of mobile cocktail bars to suit your décor, from our vintage steamer trunk bar to our sleek and contemporary Italian light bar, we will work with you to ensure we deliver exactly what you dream of! 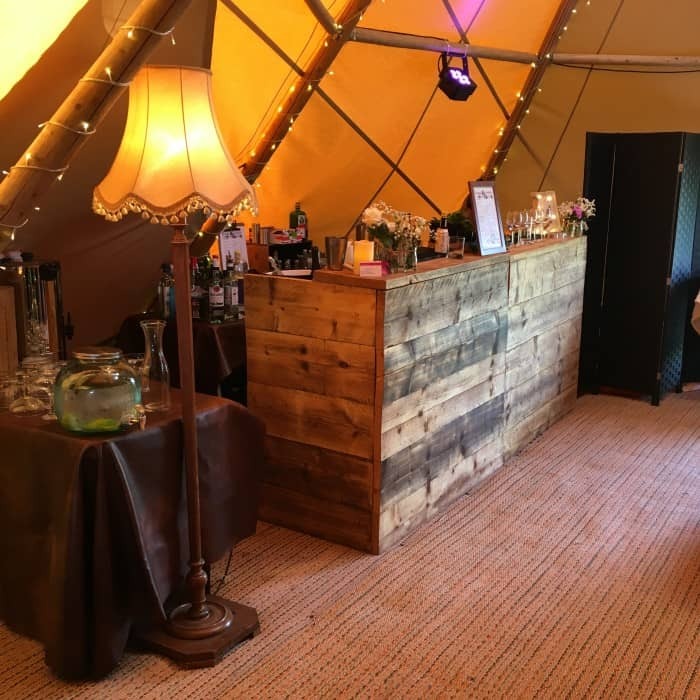 To discuss hiring a Mambo mobile bar for your tipi wedding just click here.